The Endeavour Perpetual Calendar Concept takes H. Moser & Cie.’s philosophy of clear and uncluttered design to the extreme by removing everything from the dial. 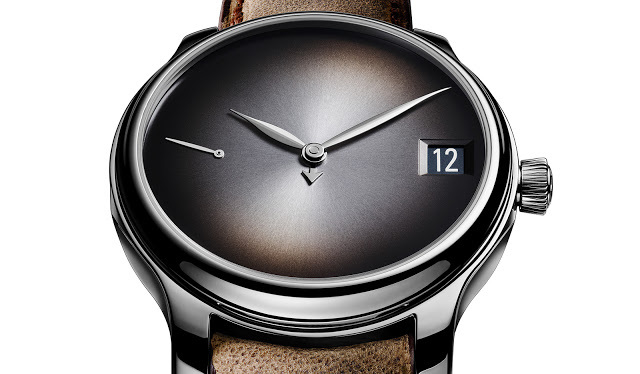 H. Moser & Cie. has reduced its perpetual calendar, already one of the most concise available, to the bare essentials, and then some. The Endeavour Perpetual Calendar Concept has a dial that is entirely void of lettering or markings of any kind, leaving it to the wearer to approximate the information displayed. The Endeavour Perpetual Calendar Concept follows on the successful Endeavour Concept, a time-only wristwatch that similarly had a dial with everything removed. While on a time-only wristwatch the time can still be easily inferred without hour markers, it is less easy with the perpetual calendar. The power reserve at nine o’clock lacks a scale, while the tiny hand in the centre meant for the months seems to be pointing at nothing. In this case removing everything from the dial seems to have hindered, rather than improved, legibility. Dial aside, the Endeavour Perpetual Calendar Concept is identical to the standard perpetual calendar wristwatch, with the white gold case measuring 40.8mm in diameter. Inside is the hand-wound HMC 341 movement, one of the cleverest perpetual calendar movements on the market. Originally conceived by independent watchmaker Andreas Strehler, it can be set forwards and backwards at any time without damaging the movement. Fully wound it will run for seven days. And it’s also fitted with a solid gold escape wheel and pallet fork, both part of the interchangeable escapement module that can be exchanged during servicing. Limited to just 10 pieces, the Endeavour Perpetual Calendar Concept’s price tag has yet to be revealed, but expect it to cost about US$60,000. 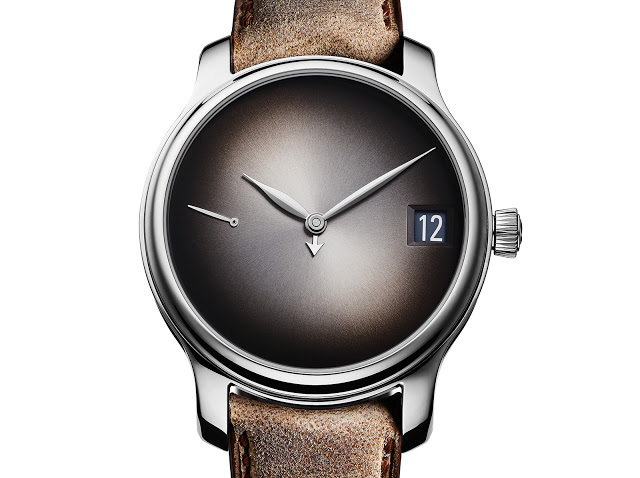 The first ever H. Moser & Cie. wristwatch in stainless steel, the Perpetual Calendar Concept Funky Blue is a stripped-down version of the brand's signature complication. Here's a summary, including the price.